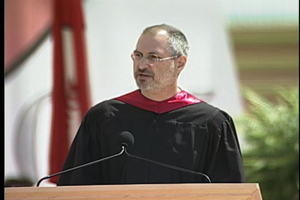 That is Steve Jobs, CEO of Apple telling you the story of his life, his philosophy and a piece of advice to the students of Stanford. Read the whole speech on Job’s life and his rendezvous with his death. Isn’t it really moving, emotional, frank and straightforward? It makes me feel proud to say I am a fan of his!